It's become a tradition that movie studios congratulate each other when their previous box office record gets beaten by another movie and studio, especially when it comes to Lucasfilm and Star Wars. With Star Wars The Force Awakens taking the opening box office record last weekend from Universal's effort earlier in the year with Jurassic World, they have produced this picture. 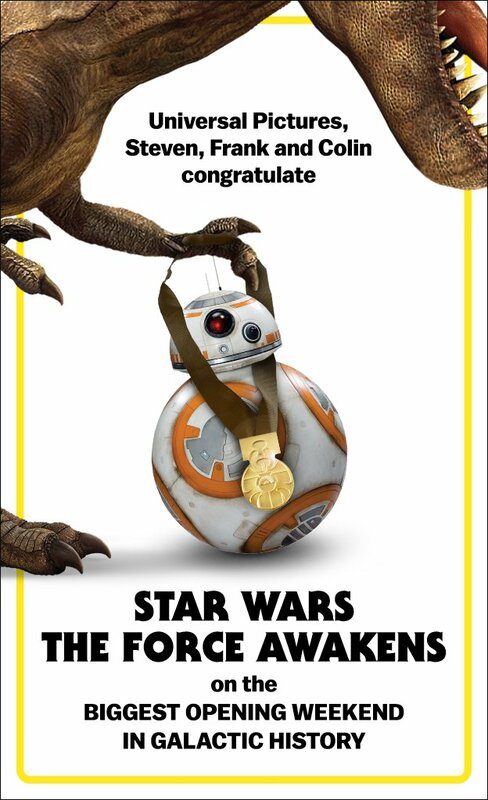 It's shows a T-Rex putting a medal over BB-8 in recognition of their achievement.